Over the past couple of months we’ve been working hard to build a better website. We’ve added a number of features for members and guests. 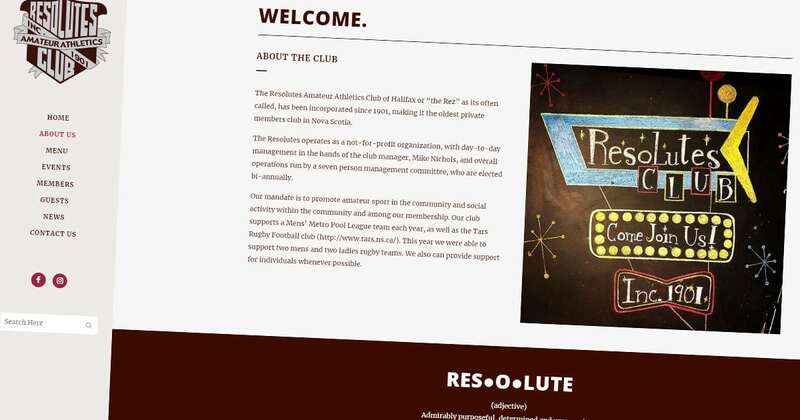 As the digital home of the Resolutes Club, we have to put our best foot forward. Our new site includes information about membership, our history, our role in the community and more. We also have a great new event listing and our menu is now online! We hope you like the site. We’re open to suggestions, comments, and input from members and guests. If you have an idea or concern to share, please let us know here.